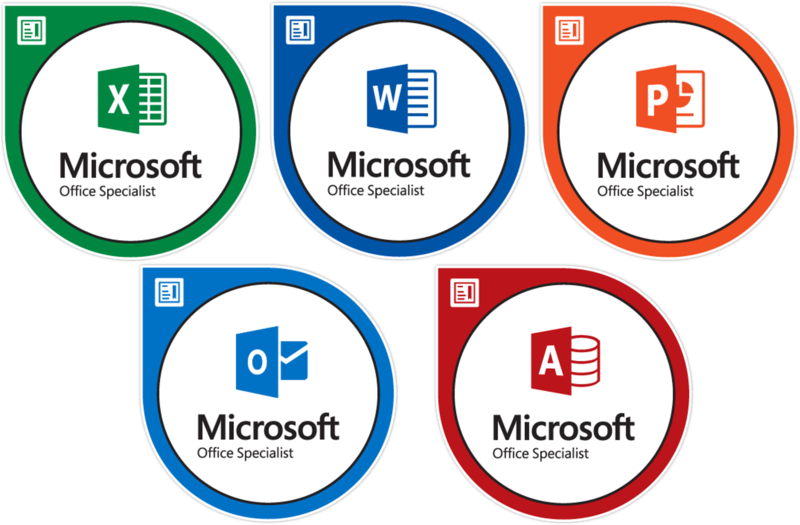 Microsoft Office Certifications are frequently optional credentials that can show particular competence in one or more Microsoft Office programs. Candidates can demonstrate their abilities and proficiency with Microsoft Computer Programs by getting Microsoft Office Specialist Certification. Individuals can choose to get certification in more Microsoft programs, for example, MS Word, MS Excel or MS PowerPoint. Before taking the Microsoft certification exam, peoples have the choice of self-learning or taking an interest in formal computer training courses and workshops. There are no prerequisites to take the MOS certification exam. 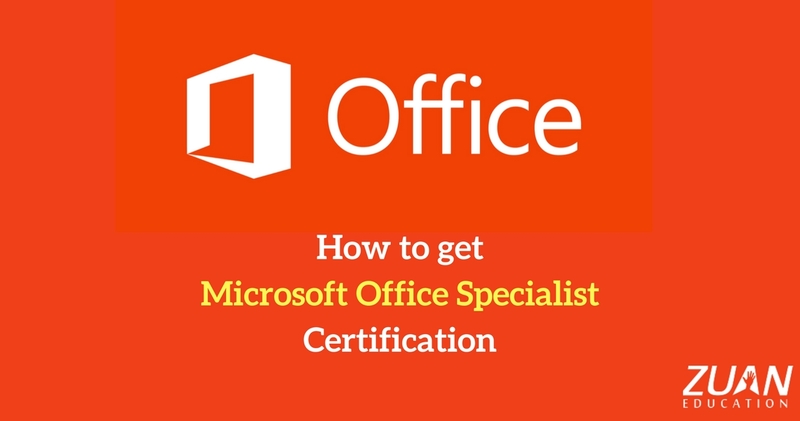 Let’s we discuss the steps to become a Microsoft Office Specialist (MOS). Before getting Microsoft Office Specialist Certification, the candidate must acquire basic computer skills. MOS certification mainly needs training in Microsoft programs and operating systems. Candidates may enroll in a basic computer program if they have limited or no computer skills. They can also enroll in a program that enables them to learn a particular skill, such as how to use the Internet. Another step is to enroll in Microsoft Office training course. People can learn themselves how to utilize Microsoft Office programs. But, the professional Microsoft Office courses and workshops offer proficient training that can guide you the proper way to use all features of a Microsoft Office program. This professional MOS training course will cover everything in Microsoft Office software program, such as MS Word, MS Excel, MS Access, Outlook or PowerPoint. To obtain Microsoft Office Specialist Certification, the next step is to take a software program to become certified. People can get certification for all Microsoft Office programs, but a Microsoft certification for every software program needs passing a different exam. Individuals who create and update documents, for example, newsletters, invitations, press releases or manuals. It would profit most by getting MOS Word certification. Those peoples responsible for managing and creating databases should consider getting a MOS Access certification. For professionals who regularly gives a presentation, MOS PowerPoint certification would be a right choice. MOS Outlook certification might be useful for a professional who works in a firm that uses Microsoft Outlook as a closed and secure email system. The final step is to take the Microsoft certification exams. MOS certification exams are just managed through testing centers approved by Microsoft. Every certification exam takes around 90 minutes to complete. Exam questions request that candidates finish a task utilizing the proper tools within the software program. For example, the MOS PowerPoint certification exam may request that candidates create a slideshow with embedded video links. Candidates can immediately see their results after finishing the Microsoft Office Specialist exam. The individuals who pass the exam are perceived as officially certified and will get a MOS certificate through the mail. Those who don’t pass the exam have the chance to challenge answers checked wrong or retake the exam. The Microsoft Office Specialist Certification is granted by the Microsoft Business program to show capability in the use of particular Microsoft Office applications. MOS certification exams are offered at three levels – Specialist, Expert, and Master. Candidates must pass at least one exams depending on the level of Microsoft certification they are endeavoring to accomplish. The specialist level offers exams in MS Word, MS PowerPoint, MS Excel, MS Access, and Outlook. MS Word and MS Excel exams are available at the expert level. Applicants wishing to get master-level certification must pass the PowerPoint specialist exam, the MS Word and MS Excel expert exams and an optional exam in either Access or Outlook. To start the Microsoft Office Specialist Certification process, candidates must enroll online or via telephone with the Microsoft-certified exam administrator, Certiport (www.certiport.com). Following enrollment and payment of the registration fee, candidates are given will study tools, exam preparation options and the location of the nearest Certiport testing center. The Microsoft Office Specialist exam is conducted online at the testing center utilizing software that replicates particular Office applications. During the MOS exam, candidates are requested to perform tasks using an application and are valued by their presentation of proficiency and skill. After passing the exam, graduates get certifications credentials, exam transcripts, and a certification logo. MOS practice tests resemble the actual exams and give users a better understanding of what the actual exam will look like. Practice tests are commonly offered online and often include feedback on scoring and performance. Various technical schools and universities have preparation MOS training classes, either by distance learning or on-campus programs. The training classes are instructor-led and usually consolidate textbook study with online practice. Test preparation books, DVDs, and MOS training materials are intended for individuals who might not have time for scheduled classes or who may not require a full training program. Self-study tool enables candidates to learn at their own pace and concentrate on the particular areas where they need assistance. Microsoft Office Specialist Certification includes enrolling and taking the official certification exam at a testing center. Microsoft gives training materials and sample tests, as do different merchants. Obtaining Microsoft office certification demonstrates capability being used for the suite or specific applications in the suite. We hope this article will assist you to prepare Microsoft Office Specialist exam and get MOS certification. If you have any doubts about Microsoft certifications, let us know in the comments. Nowadays MNCs are expecting deep skills to use Microsoft office tools and earning a certificate has become very important.